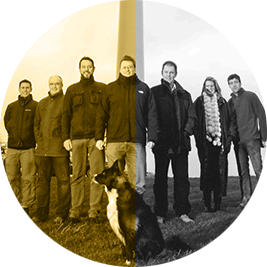 West Solent Solar was formed in August 2013 as a industrial & provident society and is governed by its Rules and run by a board of directors. The Solar Park became operational in July 2014. West Solent Solar, supported by Energy4All raised the required funds (£2.5 million) through a public share offer enabling local people in Hampshire, Dorset and the Isle of Wight and beyond to become members of the co-op by purchasing shares. Once sufficient funds were raised the co-op placed an order with Solar Century.Our chosen EPC (Engineering Procurement and Construction) contractor. All the electricity generated is sold to the electricity markets through a Power Purchase Agreement and the co-op receives income through the Feed in Tariff. The actual level of income will depend on the level of daylight at the site and the operational efficiency of the plant. After payment of maintenance, security, rent and administration costs, the surplus profits are available to distribute as a share interest payment to members of the co-op. There will also be a Community Fund available to support local community initiatives local to the solar park, after the park has been operational for 5 years.